Get your Team on Track! Xtreme Action Park is Fort Lauderdale’s Largest Indoor Destination for Team Building Activities! The team you build will determine the business you build… Team Building activities help people understand the importance of working together. A company is more productive when everyone works together for a common goal. Bring your team together at Xtreme Action Park to experience a variety of activities suitable for everyone! atmosphere for your next corporate meeting. Impress your colleagues and business associates with our technologically capable private rooms in an exciting atmosphere with close up views of our track and colorful venue. We save you time by offering winning combinations of our most popular attractions. Click here to see sample event packages and options for your corporate team or group. Browse our team building page to add to your event. We have several options for your company’s goals using all of our exciting and interactive attractions. With our expansion and new attractions added each year, we can tailor an event that includes part or even up to the entire facility! We handle everything from catering, set up, security, decor and more. Our list of preferred vendors are familiar with our unique space and eager to create a memorable event for your team. Please contact a planner to discuss customized packages for your organization. Team Up – Participants will have to complete their first task together… pick a Team Name! Qualifying Laps – Set the pace for your Team! Driver Change Lap Race – Challenge your team mates in driver selection and communication skills. Victory Lap – Show your Team Pride! Awards Ceremony – Capture a keepsake and reminder of your Victory! Check out our current corporate packages! 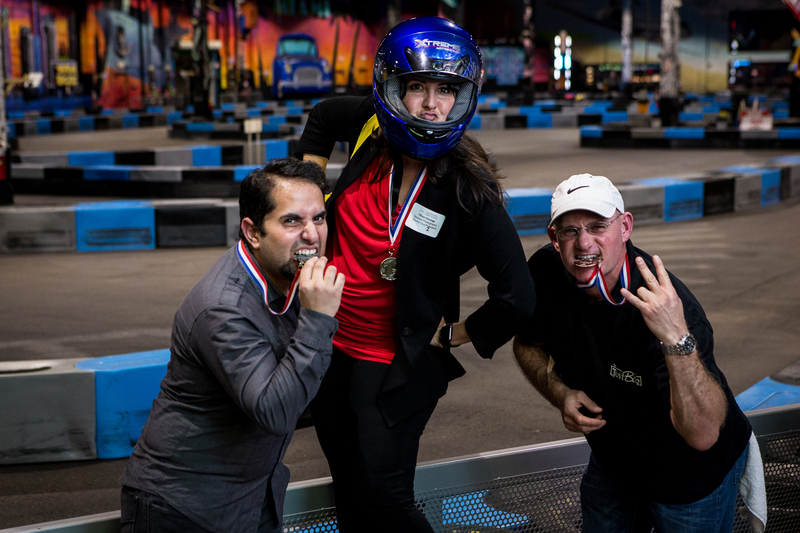 We make it “xtremely” easy to choose the activities that best fit your team. Plus, review our private room options and food packages. Evolution Escape Rooms offering a physical adventure game in which players are locked in a room and have to use elements of the room to solve a series of puzzles and escape within a set time limit. The newest concept for Team Building Challenges! The Arena Performance Venue & Roller Rink – a 16,000 sq foot Event Space available for Large Events and Private Functions plus equipped for live performances and unique sporting events. All New Virtual Reality Games offering single player, multiplayer and Escape Room formats. 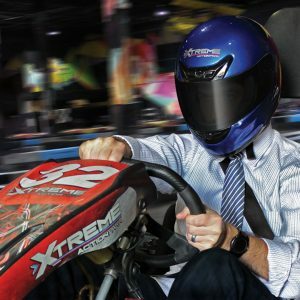 Ask your Human Resources Manager if Xtreme Action Park is right for your next company outing. Our custom Team Building packages have been proven to increase Productivity in 100% of all Employees that participated in the study*. *No actual study was conducted, but everyone had an amazing time!